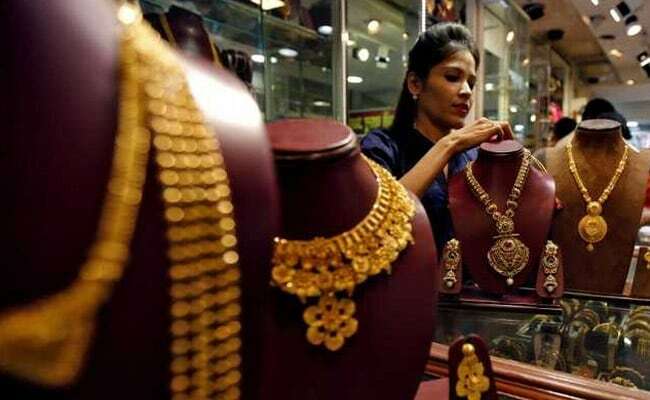 Gold prices on Monday dropped by Rs 200 to Rs 32,620 per 10 grams, extending the falling streak for the fourth day, reported news agency Press Trust of India (PTI) quoting the All India Sarafa Association. The fall came on lacklustre domestic demand and weak global trends. Silver also declined by Rs 80 to Rs 38,100 per kg on decreased offtake by industrial units and coin makers. Gains in equity market reduced gold's safe-haven appeal, said the report citing traders. Sluggish demand from local jewellers and weak overseas cues also weighed on the precious metal. 1. Globally, gold prices inched down on Monday to a more than one-week low as progress in US-China trade talks lifted risk sentiment, taking sheen off safe-haven bullion even as the US dollar weakened, reported news agency Reuters. 2. Spot gold edged 0.3 per cent lower to $1,286.74 per ounce in intraday trade, having touched $1,285.48, its lowest since April 5. US gold futures fell 0.4 per cent to $1,289.70 an ounce. 3. In Delhi, gold of 99.9 per cent and 99.5 per cent purities fell by Rs 200 each to Rs 32,620 and Rs 32,450 per 10 grams, respectively. However, sovereign gold held steady at Rs 26,400 per piece of eight grams. 4. On Saturday, the yellow metal had fallen by Rs 30 to Rs 32,820 per 10 grams. In the last three trading sessions, gold prices have declined by Rs 250. 5. Silver ready slumped by Rs 80 to Rs 38,100 per kg, while weekly-based delivery fell Rs 232 to Rs 36,988 per kg. On the other hand, silver coins held flat at Rs 80,000 for buying and Rs 81,000 for selling of 100 pieces.